Ø Started teaching after completing +2 in Commerce Stream. Ø Given private tuitions to students of Class 6th to 8th from April 2002 to February 2007 in all subjects specially Mathematics, English and Science in batches of 10 to 15 students per batch. 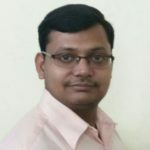 Ø Started teaching Economics and Statistics to the students of class 9th and 10th from August 2004 and continued teaching upto February 2007. Ø Started teaching Accounts, Economics and Business Studies to students of 11th and 12th from November 2005 and continued till February 2007. Ø Given private home tutions in Financial reporting, Statistics and Economics to 3 students of BBA and MBA for a period of 2 months from August 2006 to September 2006. 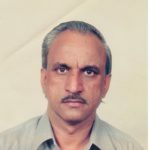 Ø Arrived Delhi in February 2007 for my CA Articleship training and continued guiding my juniors in different subjects of CA PCC level for free. Ø Continued my teaching proffession at my hometown after completing my CA in Nov 2012 and started giving coaching classes to students of CS Executive level and CA PCE level upto June 2013. Ø Associated with Sanyal Professional Academy for teaching Direct taxes to the students ofCA/CS/CMA and B.Com. from June 2013 to Nov 2013. Mercantile Laws & General English Classes : These Video Lectures for CA CPT/CA Foundation Mercantile Laws & General English are as per latest ICAI Syllabus and will cover Full Syllabus for use of PPTs and Live Examples. These videos are enough for a complete understanding of a concept and will let you score excellent marks in your exams.This Video Lectures are as per New Syllabus of ICAI in online and offline mode by India’s Best Faculty with eNotes, Test Series and MCQs for Practice of students. Mode of Delivery: Online Mode, Offline Mode via Pendrive, Memory Card, Smartphones, and Tablets (as per student requirement). Course Content-Type: Video Lectures, Books, and Question Bank. Course Content/Duration: 50 Hours of Detailed Chapter wise Video Lectures. Queries/Problems Solution: via Online Discussion Forums, Live Chat with Faculty and over Phone Calls. CA Vipul Vaibhav Garg is an excellent faculty having wide teaching experience of 7 years. He possesses a vast experience of teaching in Finance.His approach to teaching and training is structured and practical which allows the use of live examples in the class. 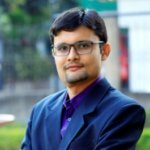 He is famous among students for his unique teaching style. If you need help with CA CPT / CA Foundation Mercantile Laws & General English, contact Takshila Learning‘ CA Exam Expert. Also, you may begin your preparation with CA Free Demo Classes. Now students from all over India can learn from India’s Most Experienced Professors online and get their dream career.